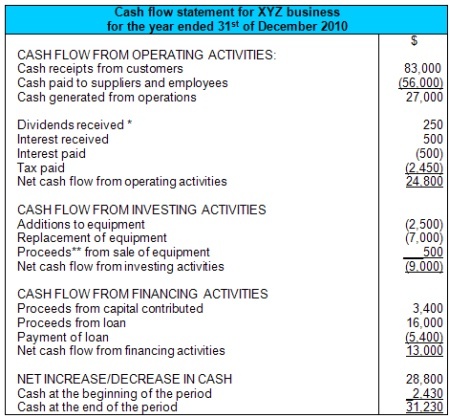 Cash Flow Statement: Dividends Paid under Financing or Operating Activities? Dividends Paid under Financing or Operating Activities? Q: Does the payment of dividends go under financing activities or operating activities in the cash flow statement? A: From what I understand the usual practice is to put it under cash flow from operating activities . The reason for this is that it could be considered to be a regular part of one's operations or operating activities - one usually pays dividends once a year to one's investors (the business owners) as a standard company practice. However, I have also heard that it is possible to place dividends paid under cash flow from financing activities . This also makes sense as the investors were the source of finance for the business, and paying them dividends is a sort of repayment to them. Since repayments of loans to the business also go under this section (cash flow from financing activities), it seems logical to include dividends paid to investors in this section too. Both investments and loans are sources of finance, so paying them should also go under this section. I would check with your local accounting authority (teacher, lecturer, textbook or accounting standards board) as to what their preferred choice is here. Sorry if you were looking for a definitive answer, this one is not so cut-and-dry. If the question is regarding a mutual fund company, then where will be the "dividend received" go into cash flow statement-operating or financing? Dividends are paid under financing activities since they (the financiers of the entity) provided finance for the business and this is not a daily or operating activity of the business. This money does not arise as a result of the business interacting with its customers. It is a smart way to include dividends under Financing activities since the root and reason of giving out dividends arise as a result of financing activities. However, it is not wrong to take it as an operating activity since this will never alter the cash flow of the business in any way. 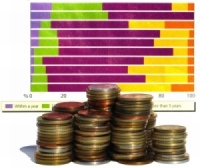 Dividends RECEIVED from their investments are part of CFO, but Dividends PAID are part of CFF. Companies issue stock as a way to raise capital. So it's a financing source. Dividend payments would be shown in the financing activities section of the cash flow statement. The operating section is for normal expenses relating to revenue generation. So paying of dividends would not go here. It is not directly related to revenue generation. And belongs under financing activities.